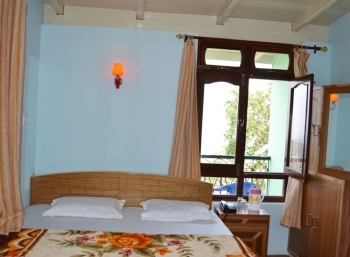 Green Leaf Hotel is a budget semi deluxe hotel in Nainital, situated in the prestine beauty of Nainital hills. The hotel offers affordably priced rooms and peaceful ambience. Nainital is situated at an altitude of 2,084 metes (6,837 ft) above the sea level. Hotel Green Leaf is located on the famous Rajbhavan Road. The hotel offers the stunning view of lush green cliffs and mountains from all the rooms. The hotel is easily accessible and is well known for its overwhelming hospitality and modern facilities. All rooms are clean and hygienic with attached bath. Green Leaf Hotel is located on Rajbhawan Road in Tallital area of Nainital. The hotel is set in the foothills of the Himalayas at 278 km from Delhi and about 1 Km from Nainital Mall Road. 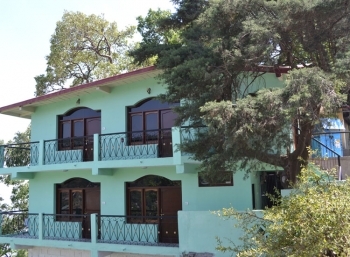 All rooms are well furnished and equipped with amenities colour TV, Telephone, wardrobe for storing luggage. All rooms have en suite bathroom with geyser in deluxe rooms and hot water supply in standard rooms. - General Discount of 10% for Booking more than two nights in C.P., M.A.P., A.P. Nainital is well connected to Delhi by road. Drive down 297 km from Delhi crossing Ghaziabad - Hapur bypass - Muradabad - Haldwani - to Nainital . Via Plane : Board a flight from Delhi to Pantnagar the nearest airport to Nainital(72 km) . From there you can hire a taxi or use local vehicles to reach the hotel. By Train : Board on to Kathgodam express from Delhi to reach Kathgodam, the nearest railhead . From there taxi or local vehicle can be used.